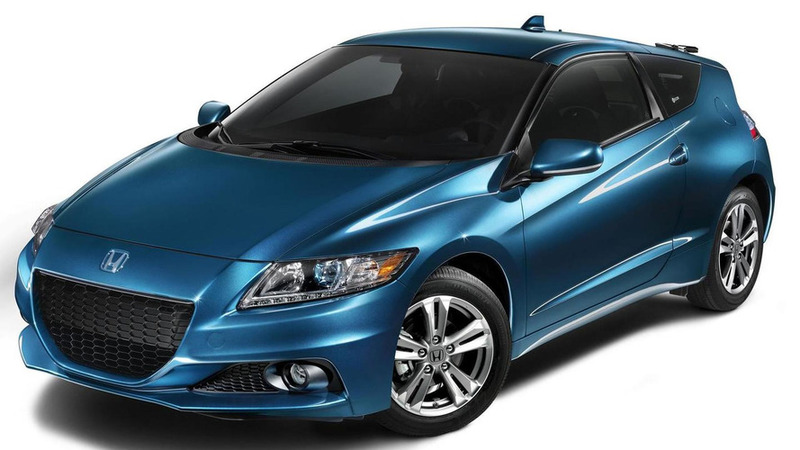 Honda has published pricing details for the US-spec 2015MY CR-Z which kicks off at $20,935 (including $790 destination charges). The $150 price bump doesn't bring any updates and comes as a surprise taking into account the CR-Z is far from being a popular model, especially if we consider that Honda will retire the model from Europe this year. Power of the vehicle comes from a four-cylinder 1.5-liter i-VTEC engine working with an electric motor and a six-speed manual or CVT gearbox. This hardware combo puts out 130 bhp (97 kW) at 6,000 rpm and 140 lb-ft (127 lb-ft with CVT) between 1,000 and 3,000 rpm. When equipped with the manual gearbox, the 2015 Honda CR-Z returns 31 / 38 / 34 mpg US (city / highway / combined) and 36 / 39 / 37 mpg US with the optional CVT. Standard equipment includes rearview camera, Bluetooth, automatic climate control, six-speaker sound system with support for AM/FM/CD/USB, remote entry, power windows & locks and cruise control. Upgrade to the EX trim (from $22,780) and you also get fog lights, LED daytime running lights, heated mirrors, leather steering wheel, seven-speaker 360-watt sound system and aluminum pedals. The range-topping EX with Navi (from $24,280) adds touchscreen navigation. We remind you earlier this year Honda Performance Development launched a supercharger kit for the CR-Z priced at $5,495 which bumps output by 67 bhp (50 kW) to 197 bhp (147 kW). It's available for the manual model and can be installed at Honda dealerships without voiding the warranty. For more money, customers can customize their CR-Z with a sport clutch, limited slip differential and other goodies. Full pricing details available in the attached press release.